Finding ways to maximize your savings could lead to more money in your pocket. Perhaps, the equity within your home may be used to eliminate several high-interest rate debts. Perennial Funding is an award-winning mortgage lender that helps families refinance into low-rate mortgage loans. Lenders receive requests to refinance for a variety of reasons. However, getting a lower mortgage payment, debt consolidation or funds for home improvements might be the reason that you want to refinance. Having a conversation with a licensed mortgage professional might provide some helpful insight about the potential benefits of refinancing your home. When Can You Refinance Your Home Loan? Barring the presence of a pre-payment penalty, there are no restrictions that would prevent you from refinancing, at any time. Although, the most appropriate time to refinance will vary among borrowers. For loan programs, such as an FHA home loan or a VA home loan, streamlined refinancing programs could reduce your monthly payment with a modest improvement in your mortgage interest rate. A government-backed streamlined mortgage loan will not require an appraisal or income documentation. Through a traditional home loan refinance, you will need to meet certain approval requirements that are based on the equity within your home, your credit history and your financial stability. 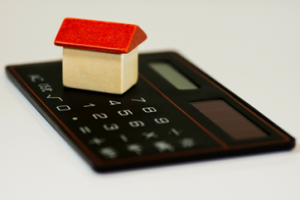 Is it a Bad Idea to Refinance Your Home? Refinancing your home is a bad idea if the transaction does not provide you with a financial benefit, such as a shorter loan term, a lower mortgage payment or a consolidation of debt that substantially lowers your monthly cash outlay. It may also be a bad idea to refinance if you plan to sell your home before enough time elapses to realize the benefits of the transaction. For instance, if refinancing saves you $200 per month on your mortgage payment, but the cost to refinance is greater than $2,500, it might be unwise to proceed if you plan to sell your home within a year. What Are Today’s Mortgage Refinance Rates? Mortgage rates are impacted by changes that occur throughout the day. Some actions may result in little or no change, while other instances could lead to various interest rate adjustments. Perennial Funding offers competitive interest rates to qualified borrowers who are seeking to buy or to refinance a home. Contact us today to speak with one of our licensed loan officers about attractive mortgage refinance rates.